Ocean Star International fish foods are premium tested formulations.Promotes rapid growth and high survival rates.High concentration of natural color enhancers. Less waste products and tank maintenance.Available only through professional pet retailers. 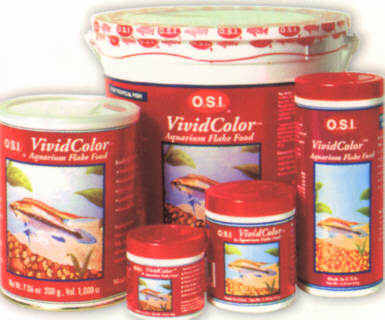 VividColor Flakes contain a high concentration and variety of natural color enhancing pigments to increase the beautiful, natural colors of your fish. No hormones added. Specially formulated diet for baby fish and reef invertebrates. Contains artifical plankton with a high fat content which provides energy-rich food particles.